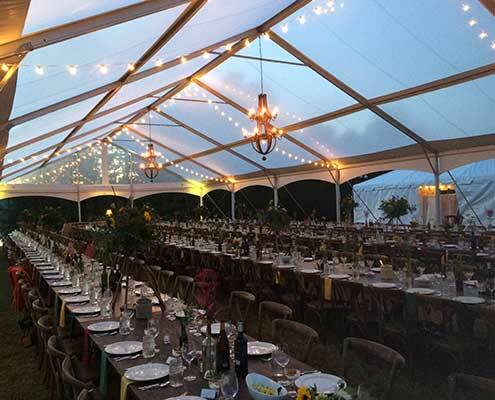 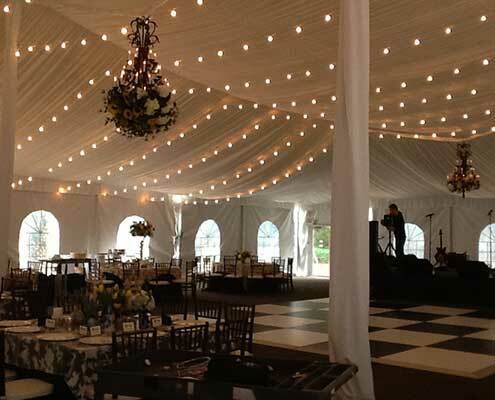 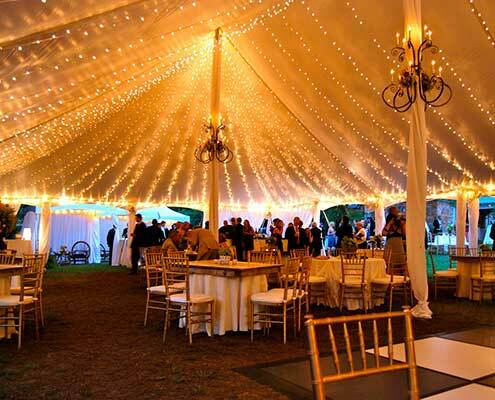 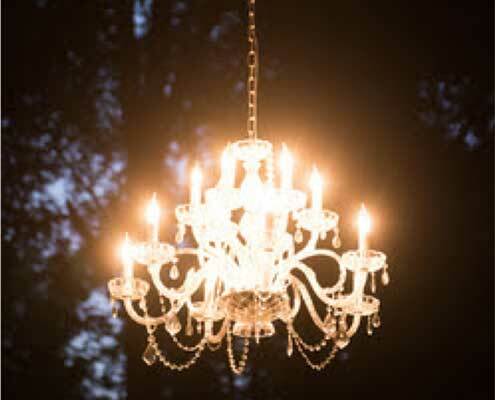 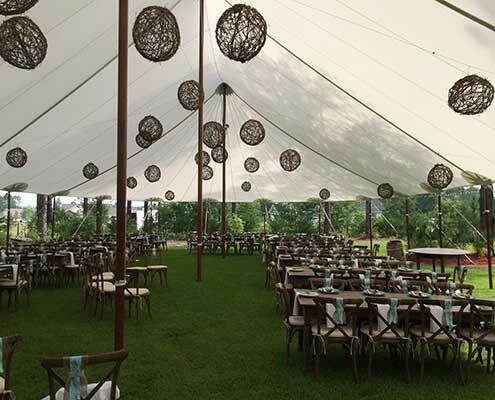 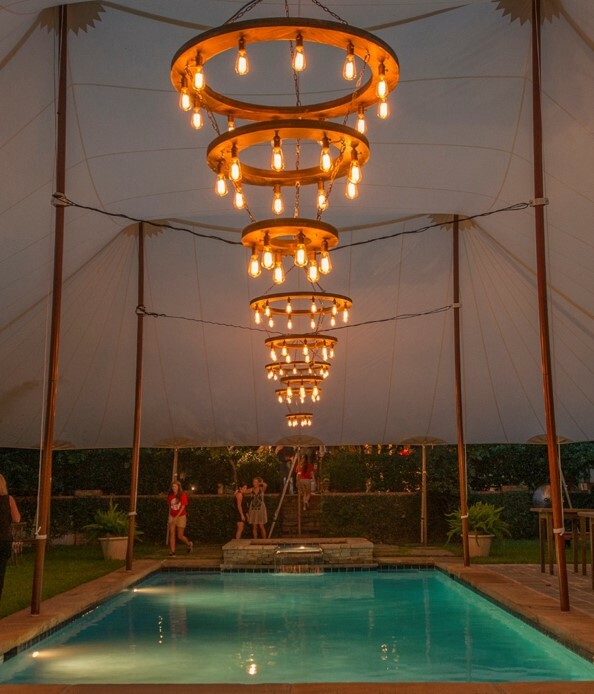 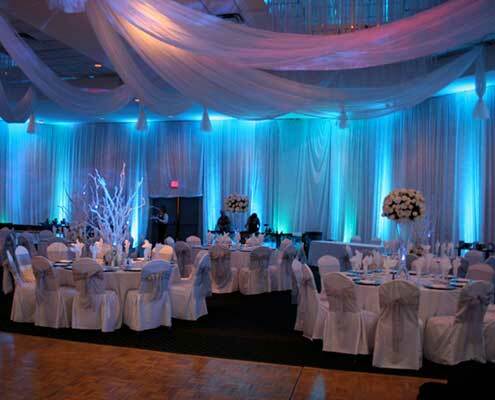 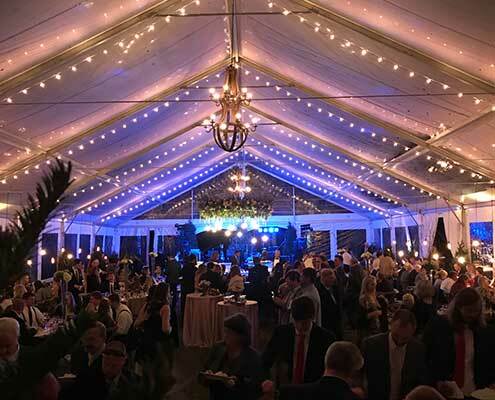 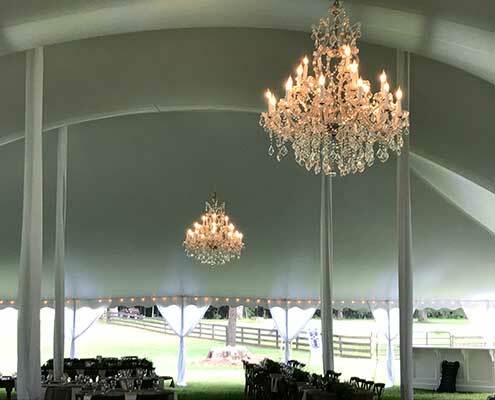 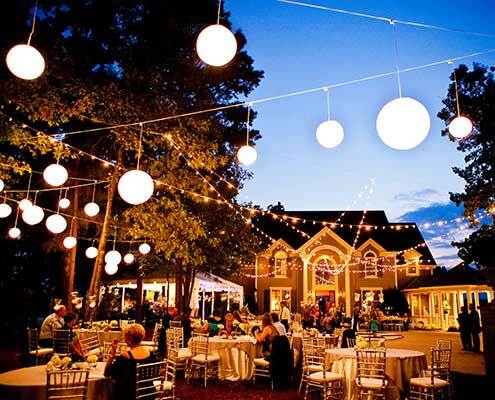 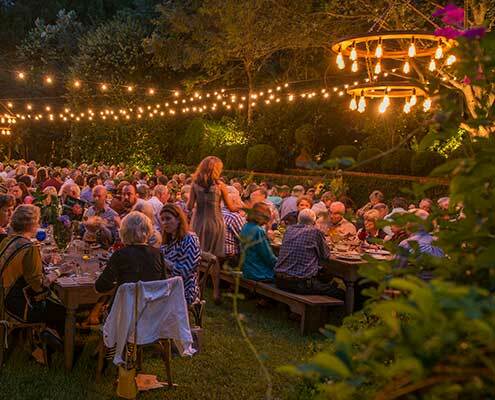 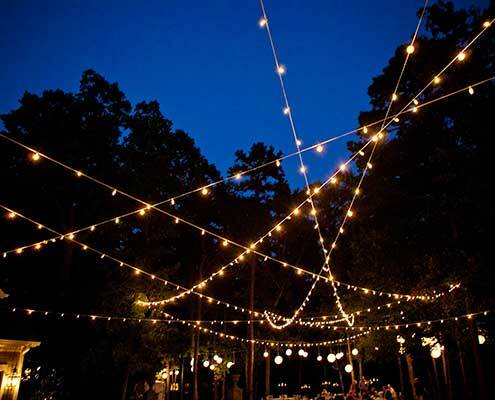 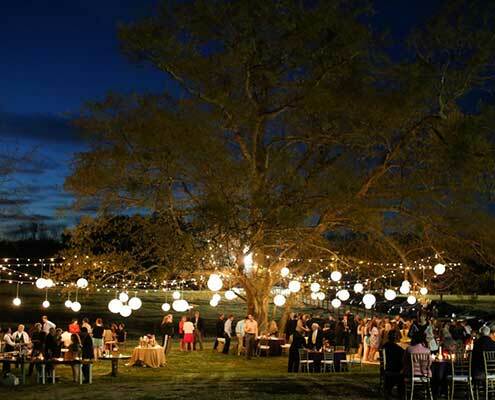 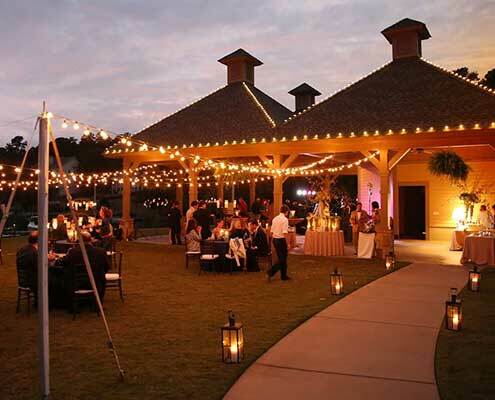 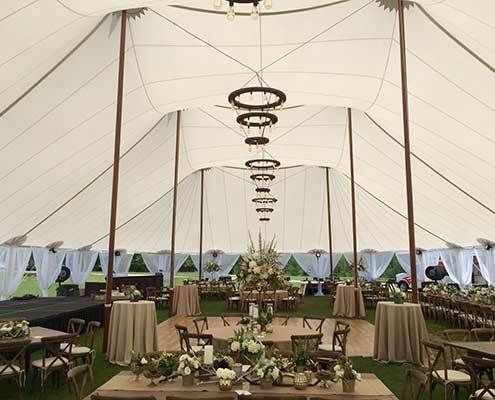 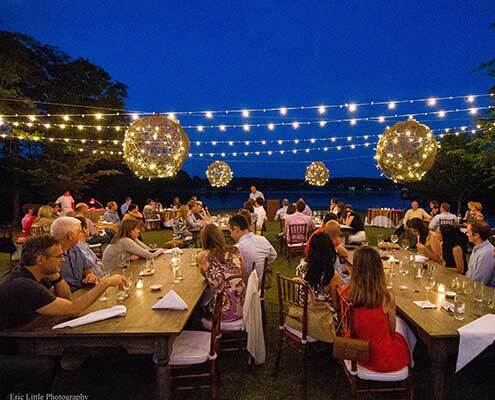 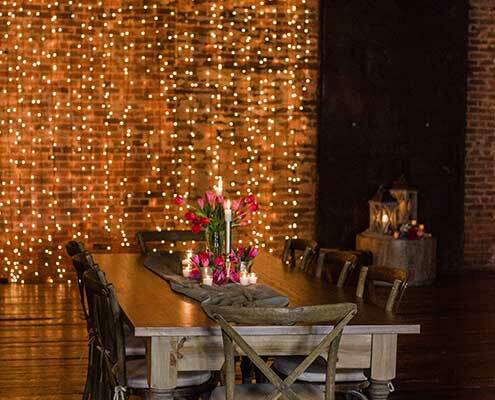 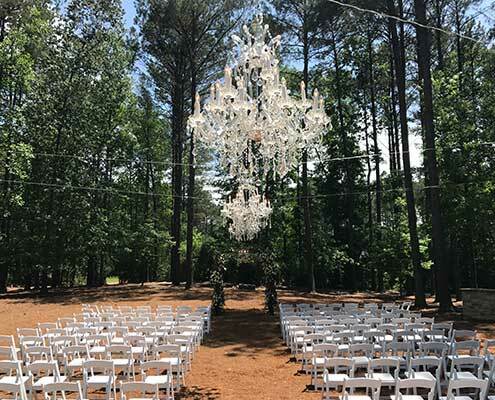 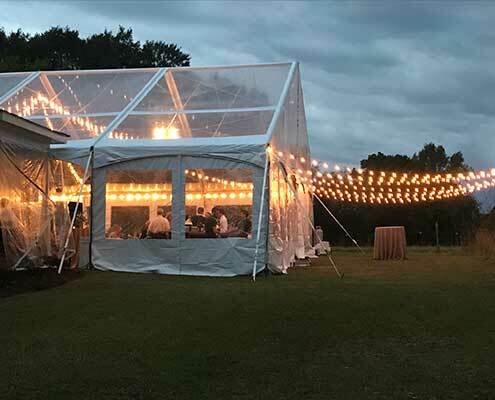 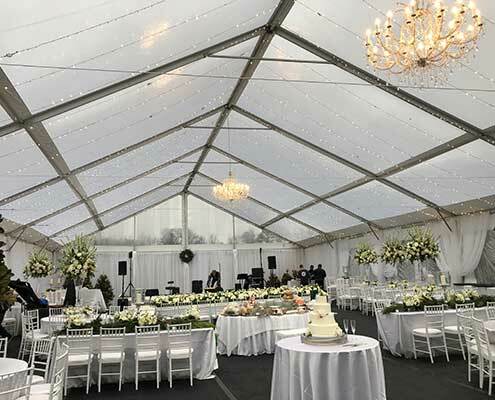 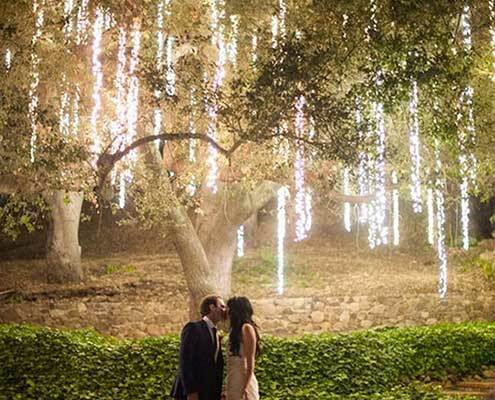 A soft and intimate glow, twinkling strands across the night sky, dramatic washes of color, sparkly crystal chandeliers suspended in a forest, rustic wood light fixtures hanging overhead – what an ambience we can create for your event! 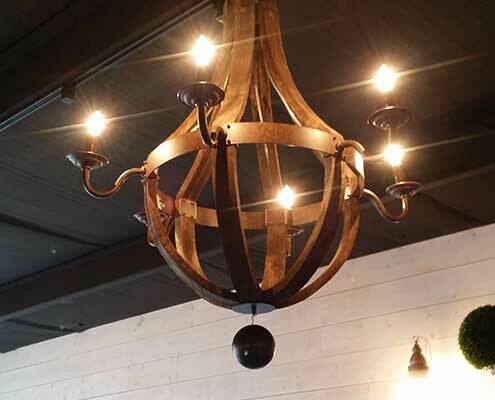 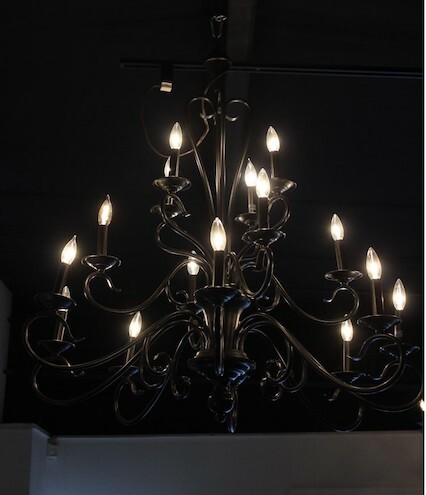 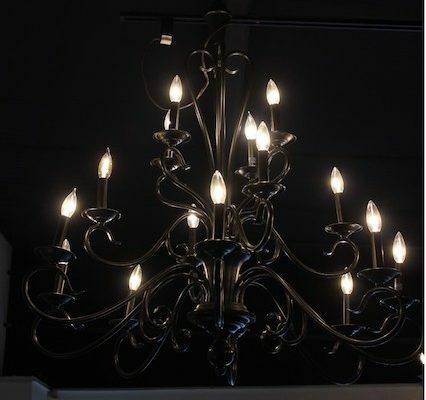 With our many different lighting options, we recommend sitting down with us to dream up a lighting design just for you. 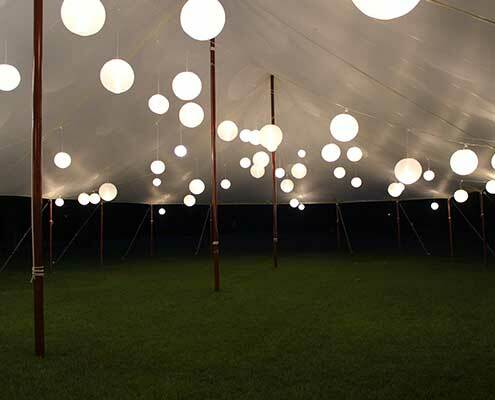 Below is a list of lighting options which can be configured into hundreds of unique configurations. 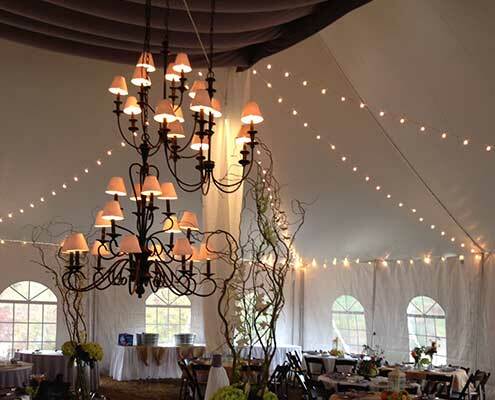 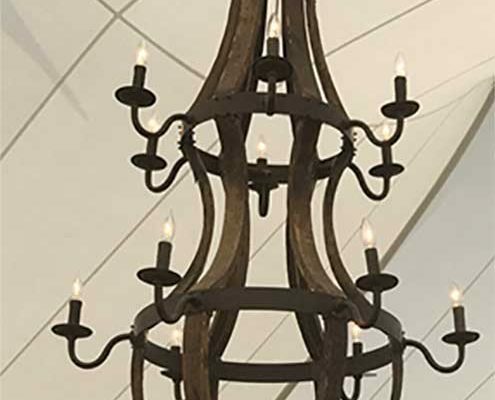 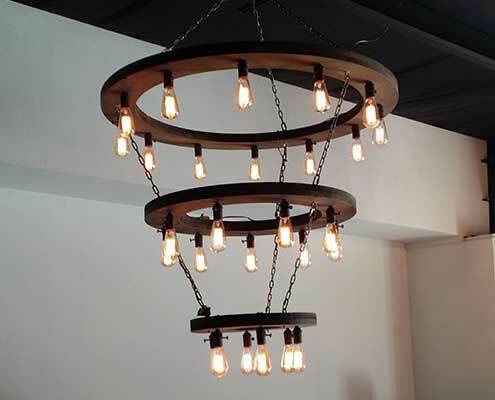 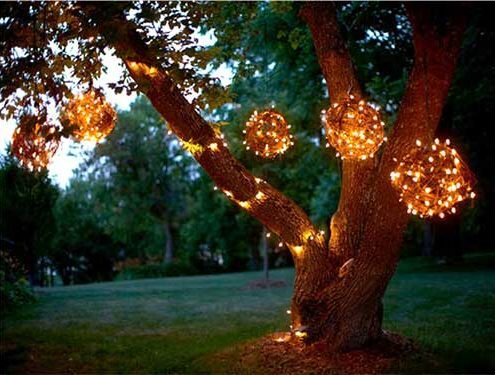 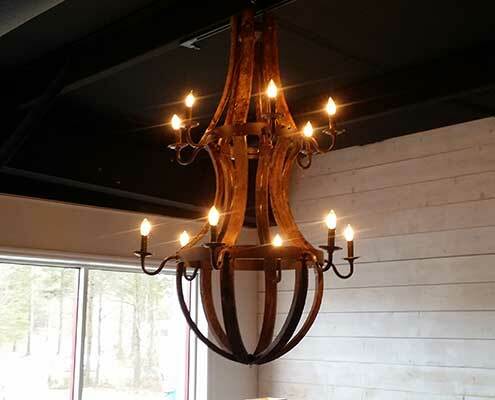 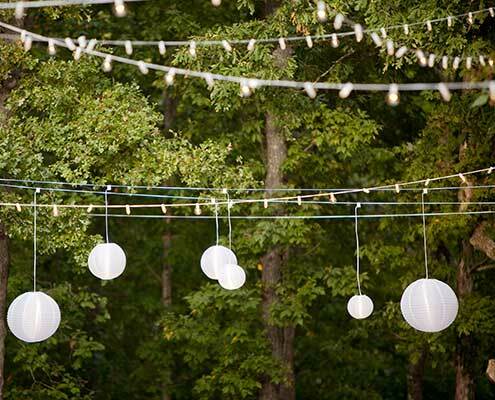 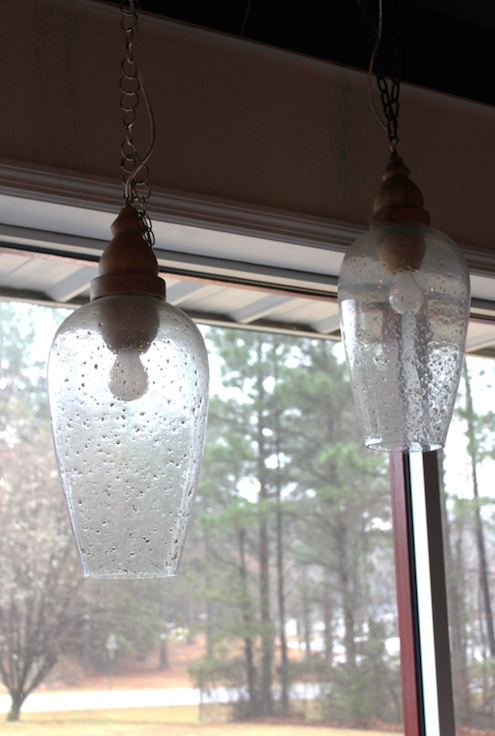 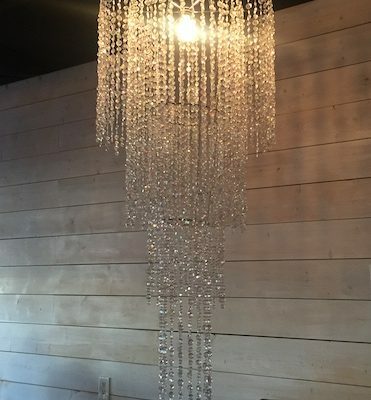 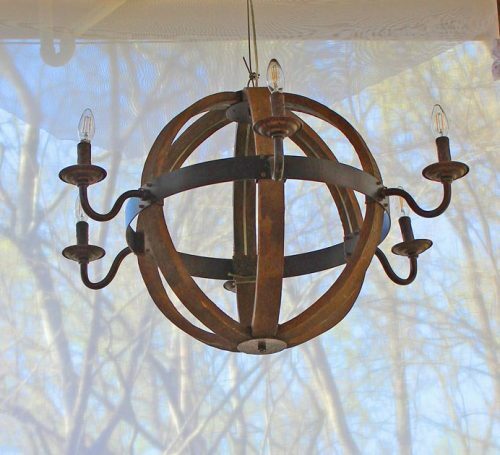 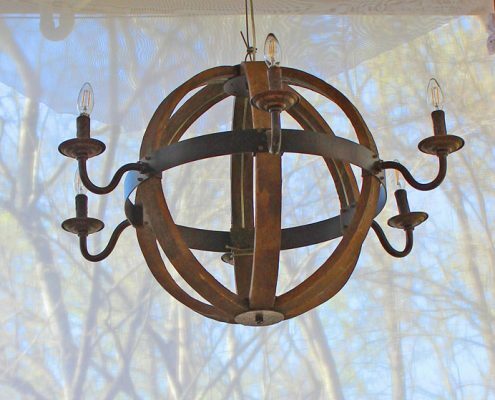 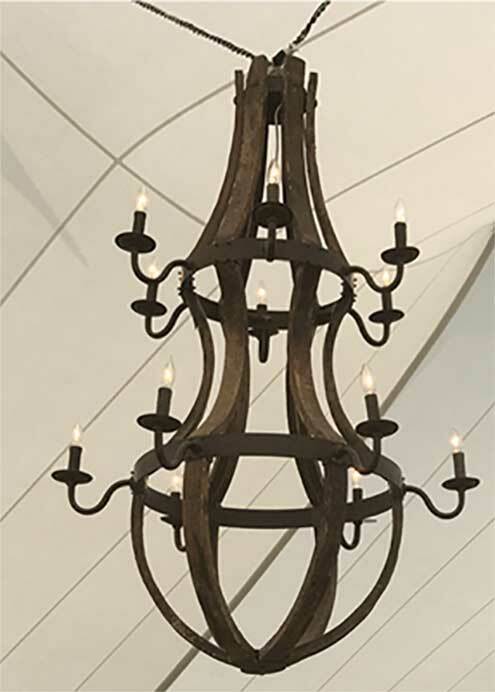 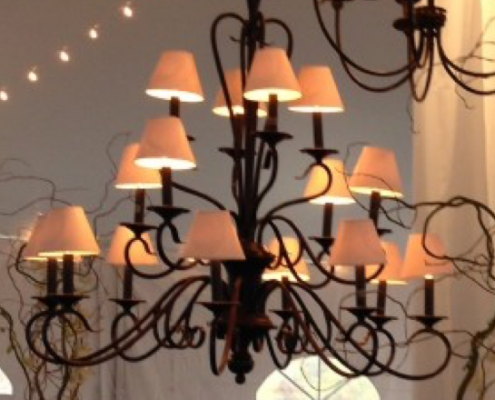 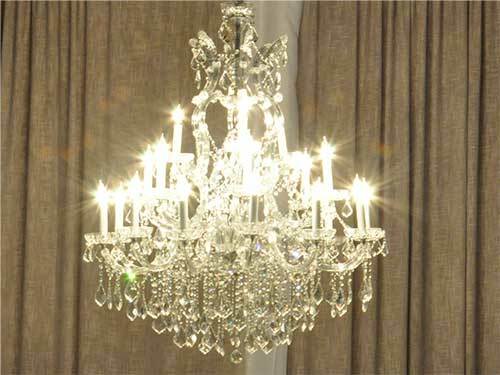 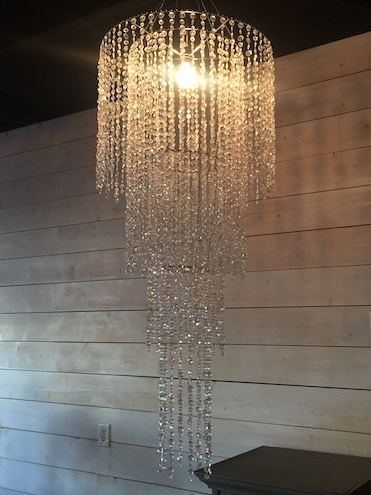 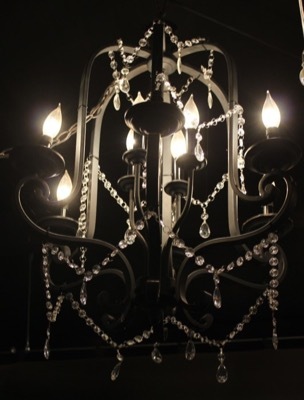 String Lights: Bistro, Cafe, Mini or Edison; Can Lights (custom colors); and Chandeliers: Crystal, Wrought Iron, or Wine Barrel. 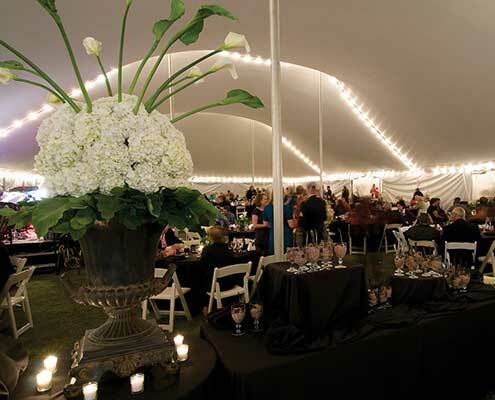 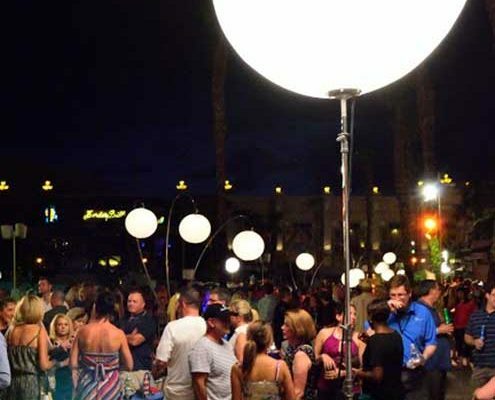 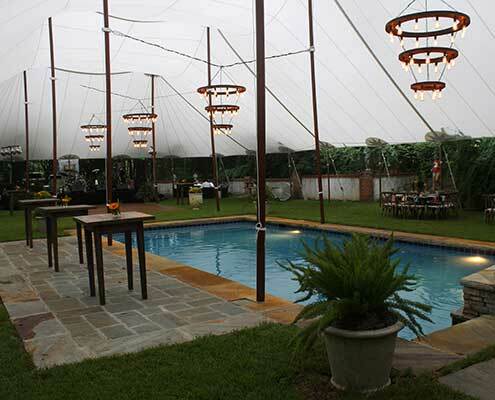 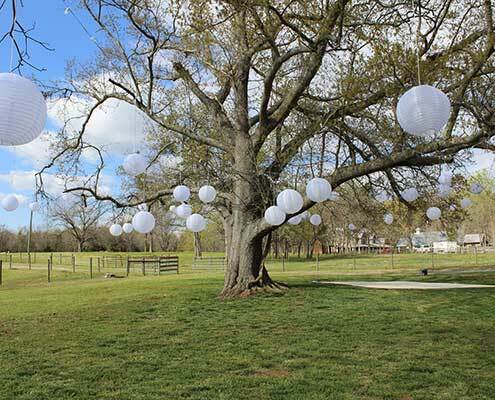 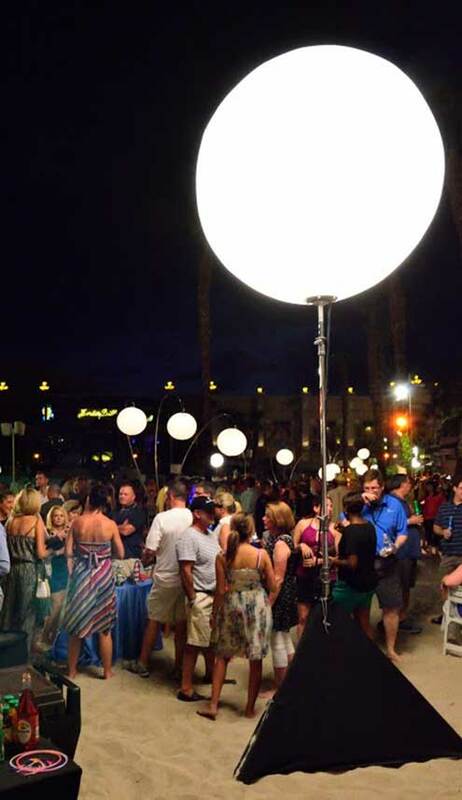 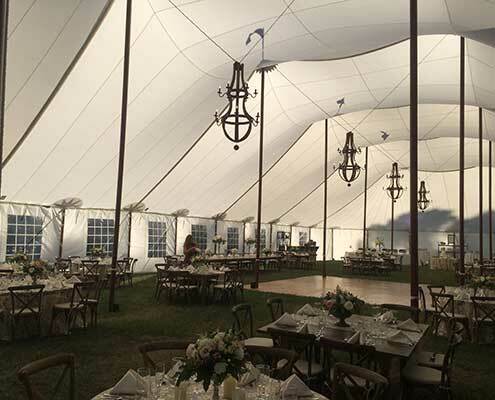 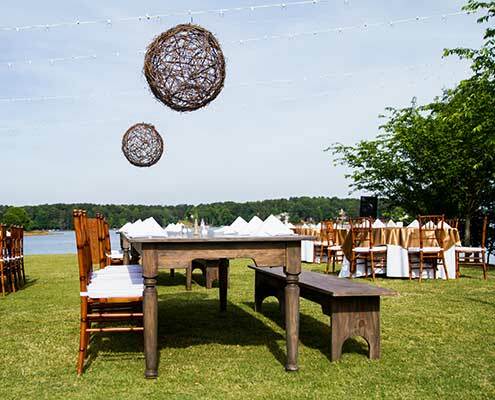 We also have an Airstar (have your own moon floating above your event! 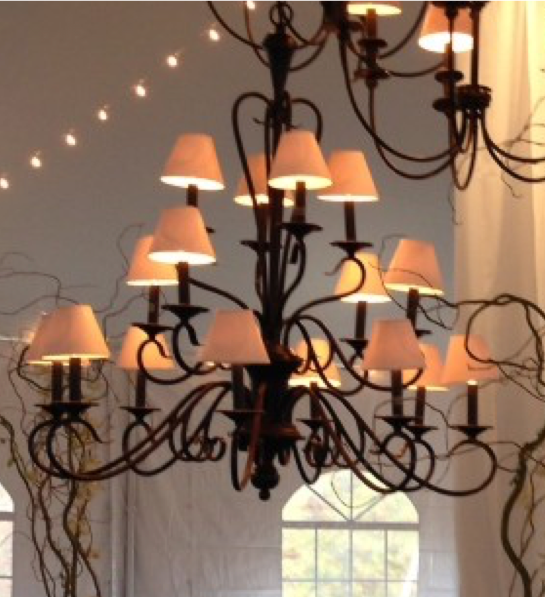 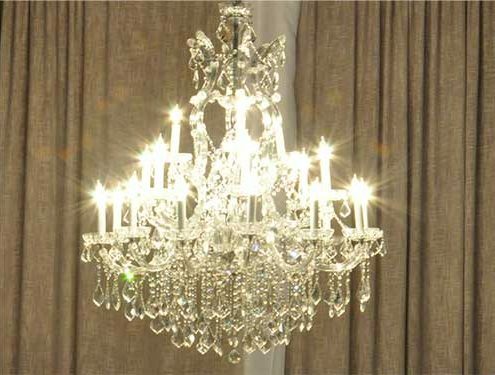 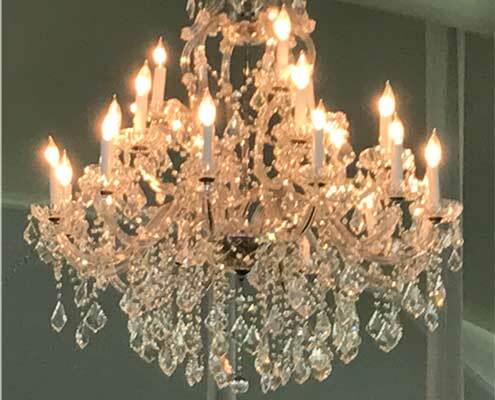 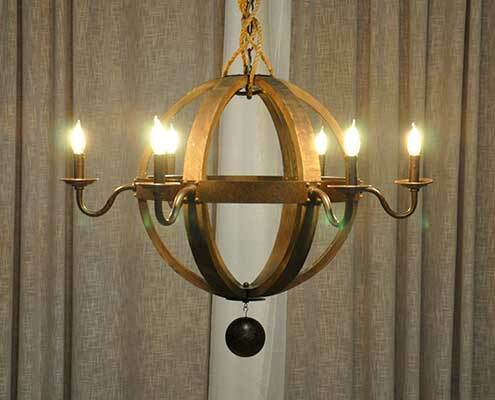 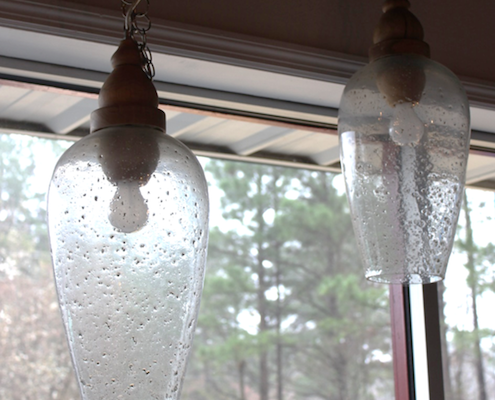 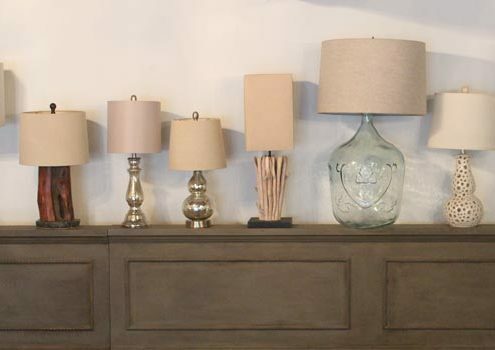 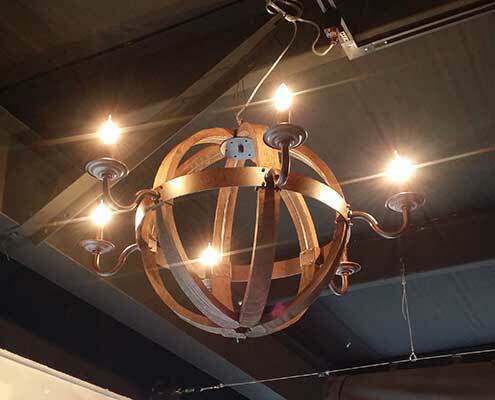 ), Grapevine Balls, White Paper Globes, Table Lamps, Floor Lamps, Candelabra, and Lanterns. 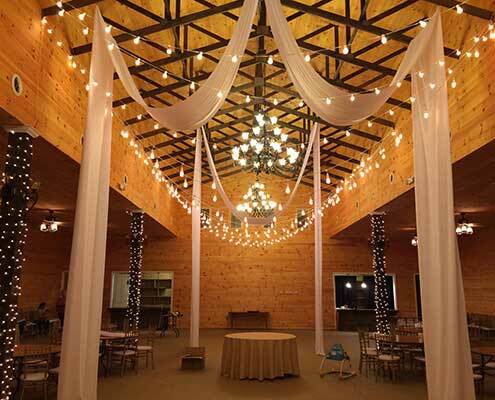 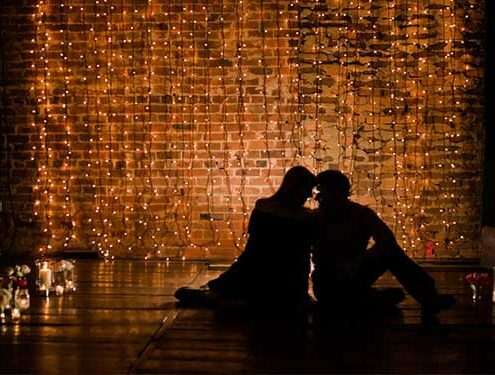 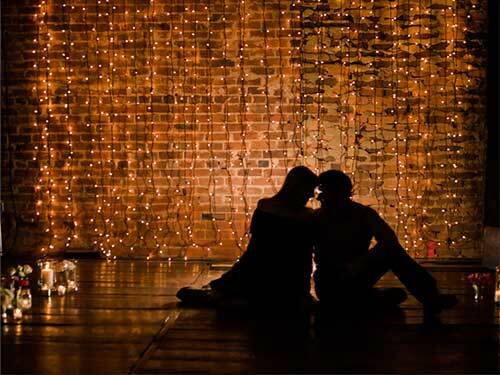 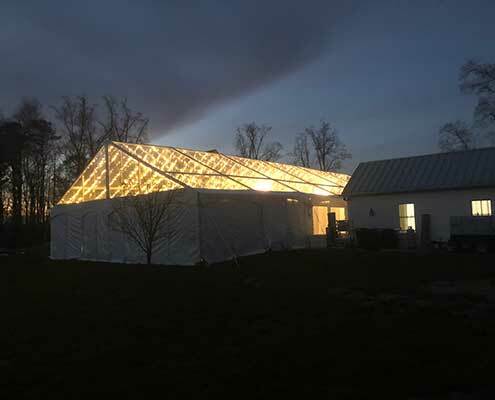 Please look through our gallery of lighting photos to get an idea of the many things that can be done with lights.